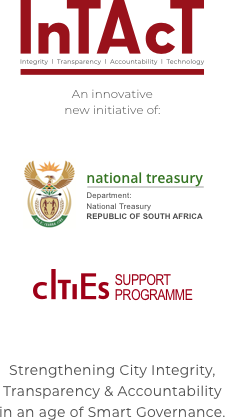 The City Support Programme (CSP) of National Treasury convened a seminar at the DBSA, Midrand, Gauteng on 19 and 20 July 2018. The two-day programme presented CSP’s City Integrity, Transparency, Social Accountability and Technology Project (InTAcT). The seminar presentations can be accessed in the Knowledge Repository. 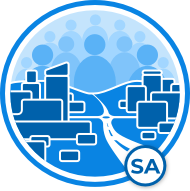 The Social Accountability theme focuses on the city relationships with external stakeholders and citizens, and how these external stakeholders should be engaged to strengthen accountability, integrity and transparency. It approaches accountability through an emphasis on citizen engagement and public participation. The InTAcT project has developed several resources and tools to assist cities in this regard. 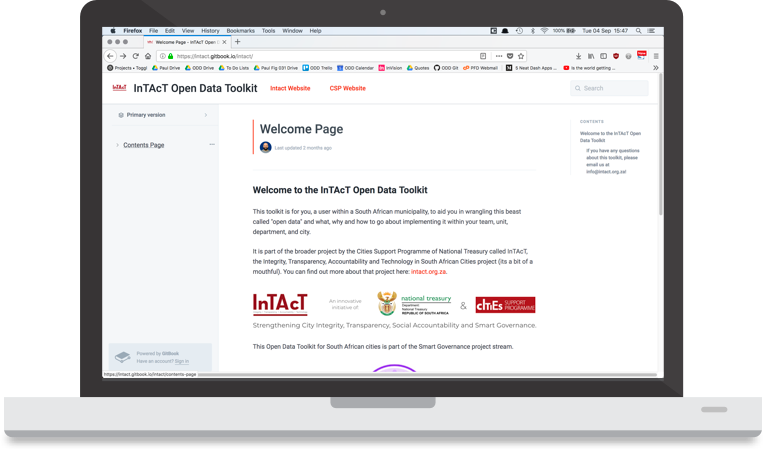 Explore the InTAcT Open Data Toolkit, which is a resource tailored for you as a municipal official to be able to understand what open data is, what the benefits and risks of open data are, and detailed guidance on how to implement it within your city. The InTAcT Knowledge Repository is an online database of all the learning products produced by the InTAcT project. 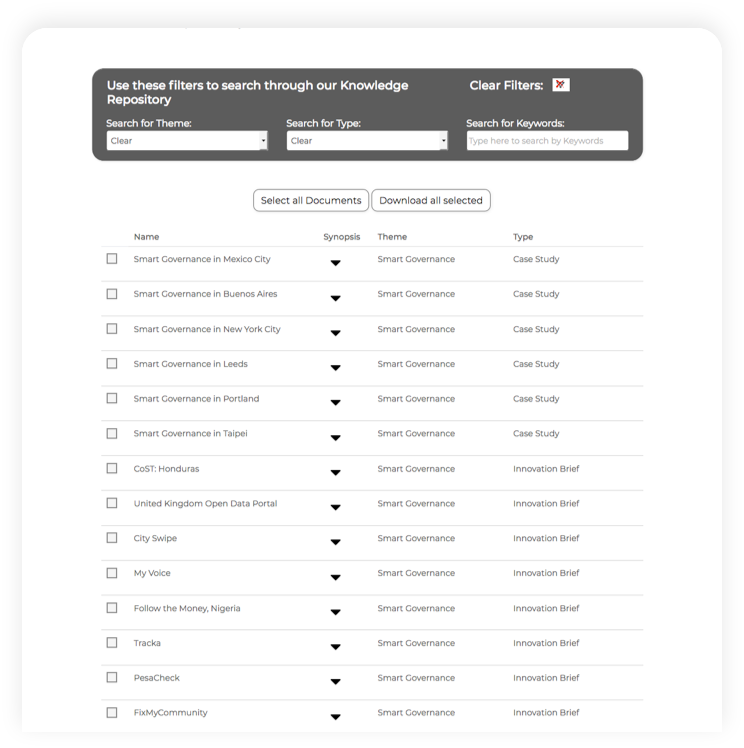 This knowledge has been organised and categorised so that users can quickly and easily search the database for relevant information. The information may be read online or downloaded for later use. The knowledge contained in the repository will have most relevance for city officials and councillors who are looking for innovative governance ideas, as well as practical guidelines for enhancing integrity, social accountability and smart governance in cities. 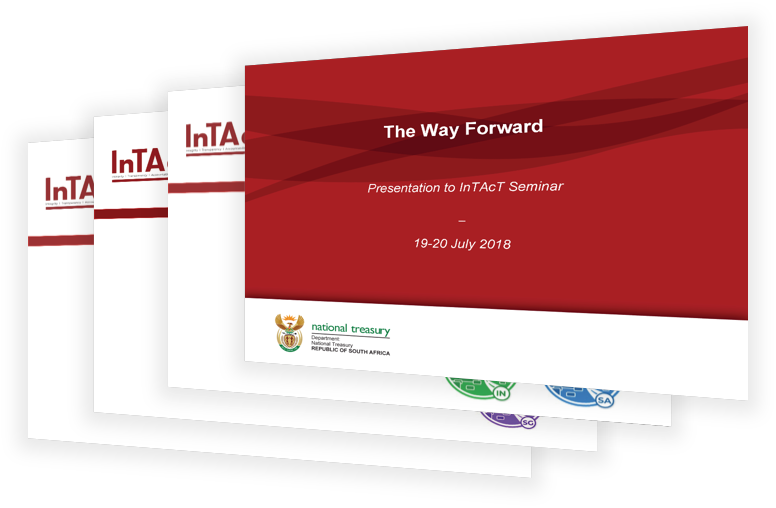 InTAcT is a CSP initiative to help cities improve their governance performance, with a particular focus on land development and infrastructure development. The project will provide cities with perspectives for understanding their governance challenges related to land and infrastructure development, a framework for assessment and a range of tools that help improve integrity, social accountability and transparency performance and unlock solutions to often complex problems. with a particular focus on land development and infrastructure development.